Join us for a special Libraries Rock! Music Trivia Night. Join us at our awards reception as we unveil the entries and announce the winners of this year's Amateur Photography Contest. All photos will be on display in the library through August 12; photos may be picked up after August 14. For complete rules and entry forms click here. Refreshments and prizes provided courtesy of the Friends of the Library. 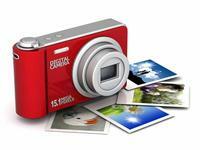 Showcase your photography skills during our upcoming Amateur Photography Contest at the library. Photos may be submitted to the Adult and Teen Information Desk anytime on Tues. July 24 or Wed., July 25 (9 AM - 9 PM). No late entries will be accepted. Winners will be announced, and all photos unveiled, at a special awards reception on Tues., July 31 at 7 PM. •For teens (ages 12-18) and adults over 18. Meet three Ohio authors of young adult literature and a fourth author who is also a comic strip artist! Enjoy an evening of energetic, authentic bluegrass performed by Morning Star. 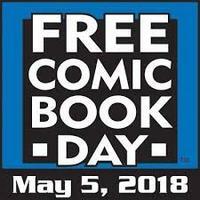 Stop in to the library today and pick up a free comic book to keep! Courtesy of JC Comics and Cards in Cuyahoga Falls. Comics will be available in the children's and teen areas of the library, while supplies last. 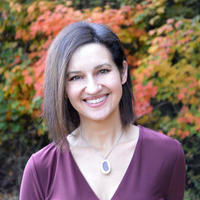 Join us as Sandra Gurvis discusses her book, Myths and Mysteries of Ohio. Why would the people of Sabina embalm the corpse of a random man and put him on display for the entire world to see? What was it about Marietta, Athens, and the Golden Lamb in Lebanon that made these places such ghost magnets? And where are the dead aliens at Wright-Patterson AFB? 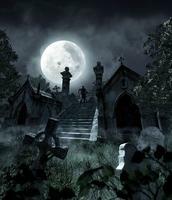 This presentation combines ghost stories, unsolved crime tales and haunted places into a “myth busters” of popular history with the author’s trademark twist on the bizarre. Are you overwhelmed by clutter and not sure where to start? Join us as Lynne Poulton, Certified Professional Organizer and Owner of Wholly Organized!® shares tips and strategies on tackling the clutter in our lives. There will be a Q&A after her presentation. This free program is cosponsored by the Stow-Munroe Falls Public Library and the Friends of the Library. Don’t miss the fantastic bargains at the Friends of the Library’s Summer Book Sale! All hours for this sale are free and open to the public. Cosponsored by the Friends and the Stow-Munroe Falls Public Library. Sneak Preview on Mon., June 25: 5 - 8 PM!